Here’s a sampling of 4 of the biggest trends in bath decor for 2016 that will continue onto 2017. They mirror some of the hottest home furnishings fashion trends – handmade, worldly, utilitarian and organic looks. Overall looks are informal and textural. They are Industrial Chic, Nature Calls, In The Navy and Worldly Loo. “Industrial Chic” is an urbane contemporary bath trend that is simple, spare and with industrial touches. Bathroom accessory shapes are utilitarian and unadorned. Materials include mixed woods and plastic. 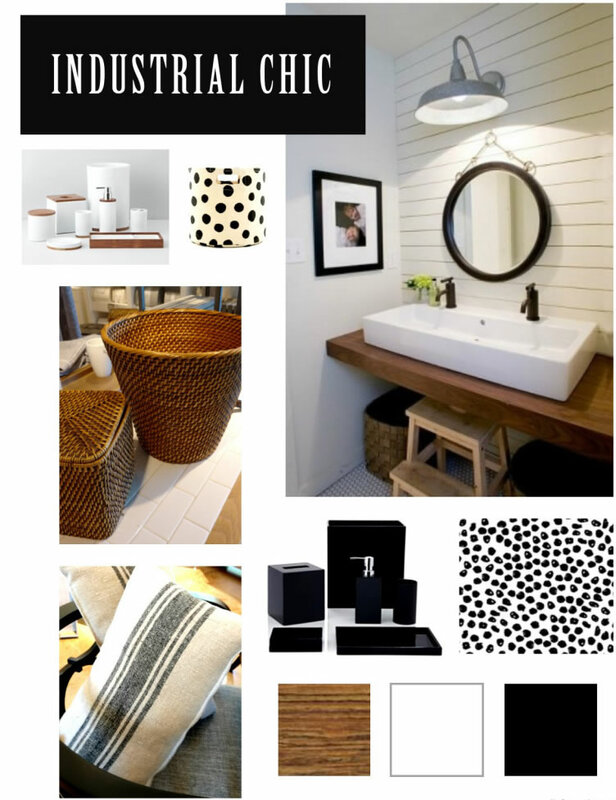 The look is neutral black and pure white, warmed up with handmade baskets, abstract organic prints and stripes on shower curtains, towels and storage. “Nature Calls” for contemporary bathrooms that are spa-like, inspired by nature and organic references. They are spare and clean, but contrasted with textural, handcrafted textiles, wood and wicker accessories. Bath accessories are modern and basic. Organic and ethic patterns are key on shower curtains, storage and towels. Colors include the continuing popular favorites, grey, porcelain white and citrine. 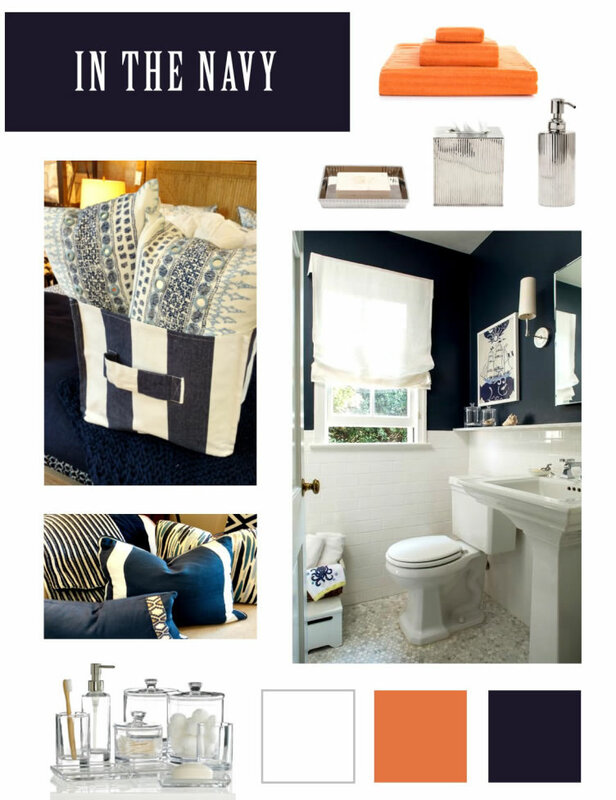 In the Navy is a transitional bath trend, that is glamourous and classic. It appeals to both traditional and more modern customers. The colors are predominantly navy and pure white, but popped with a modern tangerine. Textile patterns run the gamut from symmetrical stripes, ethnic and geometric patterns. Accessories gleam in clear glass and silver metal. 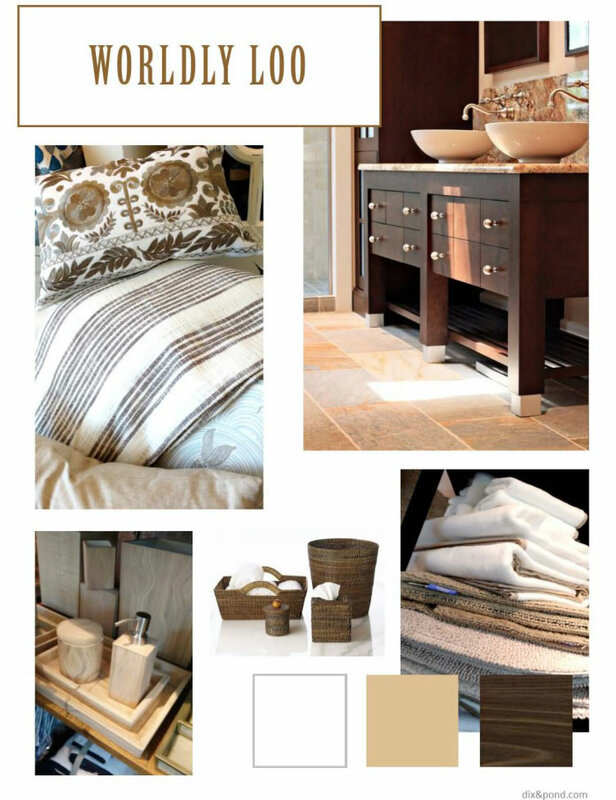 “Worldly Loo” is a warm, transitional bath trend rooted in handcrafted, textural and natural materials. The color story is neutral, but the contrast of textures is serene and livable. Patterns include handcrafted ethnic patterns and stripes. 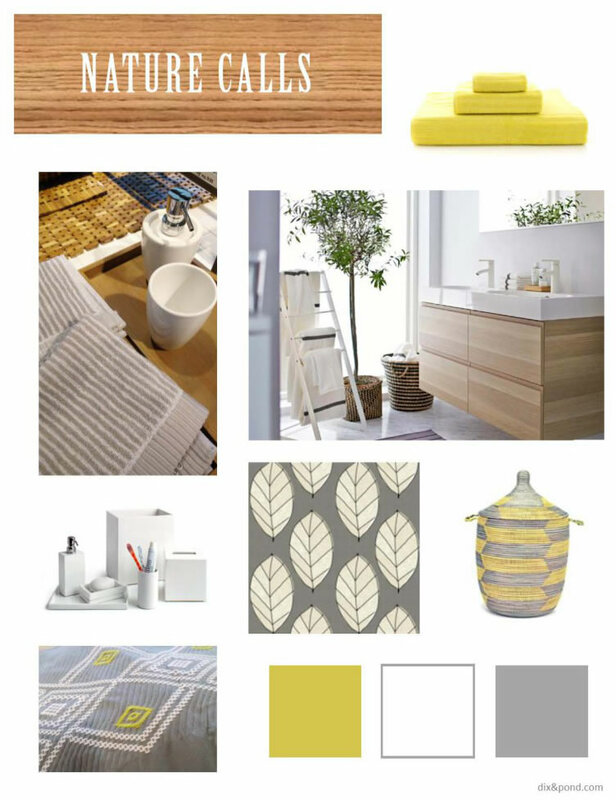 Bath accessory materials include ceramic, stone, rattan, grasses and wood.